As many of us know, February is the month dedicated to honouring the history of black women and men. We attend various events, read poems, watch documentaries that commend, applaud and recognize the men and women who fought for equal rights for blacks. Famous and well-known activists like Sojourner Truth, Booker T. Washington, Rosa Parks, Malcom X, Harriet Tubman, and Martin Luther King undoubtedly contributed to our current ability to participate in social activities and spaces and so we celebrate their accomplishments and use them as a way forward to continue break down barriers and systemic oppressions that still affect black women and men today. Instead of being a passive recipient of actions, these individuals chose to be active participants in reform, which has led to substantial change. While we appreciate these well-known names, so many more black women and men contributed to the advancement of society – yet without the recognition and esteem of the aforementioned icons. Specifically, it is important to understand the unattributed influence of black women in the development of medical and reproductive health technologies. As we move into March, let us uphold the momentum of February. Let us recognize black women who historically have been an invaluable asset to science, and to give credit where credit is due, but also to highlight that black contributions continue to be undervalued and are often dismissed. I will start with Mrs. Henrietta Lacks. Born on August 1, 1920, in Roanoke, Virginia. Mrs. Lacks went to seek medical care for a knot-like feeling in her abdomen. It was discovered that she was pregnant. Henrietta carried the pregnancy through and after the delivery of her child, she suffered from severe bleeding. A biopsy from her cervix revealed that Henrietta had adenocarcinoma, although she was initially misdiagnosed. While undergoing treatment, samples of Mrs. Lacks’ cancerous cells were extracted, propagated, and made available to researchers and scientists for use – for the advancement of science. These immortal cells came to be known as the HeLa cell line. They are now the oldest and most commonly used cell line in modern medicine and science. Essentially, HeLa cells were and are currently used to perform various biomedical experiments, such as studying disease progression, and the effects of substances on human cells. The discovery of naturally immortal cells at such a time was indispensable to the search of scientific knowledge. Now, what’s the problem here? The truth is that neither Lacks nor her family consented to the harvesting of her cells for medical science. She died in 1951, and up until 1975, her family did not know that Henrietta’s cells were being used for medical research. 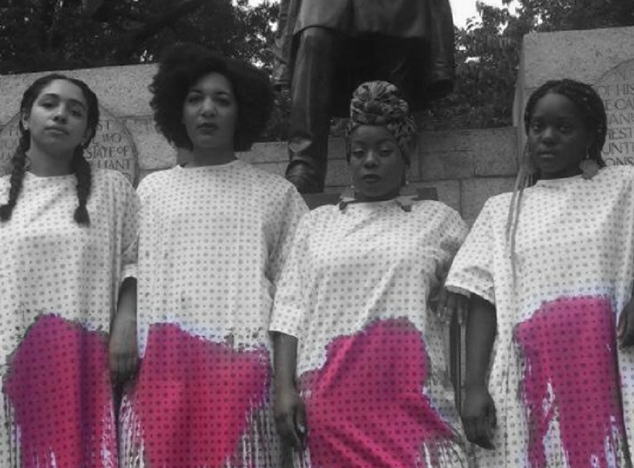 The story of Henrietta’s cells is just one example of how the bodies of black women have been used without consent for the betterment of society as a whole. But this narrative isn’t just from the last 50 or 60 years. 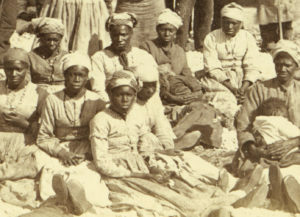 The use of black women as experimental subjects predates the civil rights movement. 1845, Anarcha Wescott, a 17-year-old slave girl in Alabama, had been in labour for three days when a white doctor was called to help deliver the baby. Anarcha finally gave birth with the assistance of Dr. James Marion Sims but unfortunately, the baby died. After a physically and emotionally challenging delivery experience, Anarcha was left with a gynecological issue that continues to affect many of women today – fistula. Vesicovaginal fistula rendered Anarcha incontinent and had a significant impact on her overall well-being. 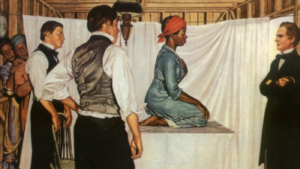 Dr. Sims performed numerous unethical experimental procedures on Anarcha and other enslaved black woman to perfect the surgical technique to the cure of fistula. He conducted these experiments over multiple years and without anesthesia, despite its availability at the time. Dr. Sims would eventually go on to successfully perfect the technique to close fistulas, and he remains well known and honoured for his contribution to the field. While some may applaud this ‘utilitarian’ approach to scientific discovery, it clouds the gross social injustices that have transpired while trying to obtain such scientific certainty. Anarcha did not consent to be a research subject; she was treated as an experiment rather than a patient. The fact is that Anarcha could not refuse and so her body and dignity paid the price. This is not to say that we should necessarily discount the value of Sims’ technique. The technique has helped many women globally, but lack of recognition of the women who were used as medical property, and mistreated, in its discovery and refinement is an injustice that remains largely unaddressed. Rather than critique J. Marion Sims and question his medical ethics, I would instead suggest that we acknowledge and honour the experiences of women like Anarcha and Henrietta. It is our duty to take the time to learn their stories, recognize their pain and anger, and above-all, applaud their courage to withstand such horrible abuses. Further, this isn’t to say that Anarcha and Henrietta were the only enslaved black women that were used as subjects for medical experimentation or other abuses. There are many Anarchas – many more than we can count or will ever fully know. In thinking about Black History Month and the icons that we hear about again and again, let us also take some time to question why we continue to hear the names that we do, and which names are absent from our conversations. For those interested in learning more about the history of medical experimentation on African Americans, a recommended reading would be the following: “Medical Apartheid: The Dark History of Medical Experimentation on Black Americans from Colonial Times to the Present” by Harriet A. Washington. Ruth Nara is graduate student at the University of Ottawa. She is passionate about reproductive health for vulnerable populations in North America and Africa.